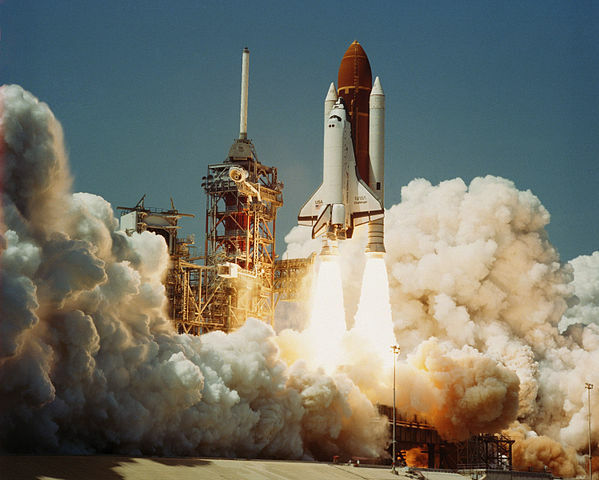 On January 28, 1986, the space shuttle Challenger made history. It was the first manned spacecraft to be destroyed after launch. That was a big event, but what do we remember about what Challenger did before it was destroyed? It seems its last moments are ingrained in our memories, but we’ve forgotten about its achievements. Space Shuttle Challenger being launched on its first mission April 4, 1983. Image is public domain, source Wikipedia. The Space Shuttle Challenger was the second space shuttle to be space-worthy. The first was Columbia, and the Enterprise was only for testing. Its first mission was on April 4, 1983, and its 10th and final ill-fated mission was on January 28, 1986. It was named after the HMS Challenger. 1. First, some statistics about the shuttle. It’s 56.1 metres tall and 2,030 tonnes. Its low earth orbit capacity is 24,400 kg. 2. There were some remarkable firsts by Challenger. On the topic of people, Challenger was host to the first American woman in space (Sally Ride), the first African-American in space (Guion Bluford), the first Canadian in space (Marc Garneau), and the first Dutchman in space (Wubbo Ockels). 3. Challenger also hosted a few first events. These include the first spacewalk from a shuttle, first night launch and landing by a shuttle, the first untethered spacewalk using the Manned Maneuvering Unit, and the first spacewalk done by an American woman (Kathryn D. Sullivan). 4. Enterprise was actually planned to be the second shuttle to be fit for space travel. It was going to be retrofit to be the second shuttle in space, but Challenger was found to be cheaper to retrofit. Challenger was originally a Structural Test Article. 5. On October 10, 1984, Challenger was hit by a Soviet laser called Terra-3. It was a tracking laser and was used on low power. The shuttle crew didn’t even know it happened. However, it caused the United States to file a formal diplomatic complaint. Canadian astronaut Marc Garneau and American astronaut Kathryn Sullivan reported no disruptions. Source: American Physical Society. For more Encyclopedia Entries, please see here. Ever since I started my post-a-day month in November, my blogging life hasn’t been the same. I’d tried it once before, and I saw an improvement in visitors. When I stopped, it went back down. In November, not only did I do a post a day, I also promoted my blog on several social media platforms. I got an immediate response. Although the number of daily visitors increased, it wasn’t until the end of November when things really took off. After I finished my post-a-day month, I decided to continue posting as often as possible. In fact, I posted more often in December than I did in November. Also, this month has been busier than November, too. I’ve seen an improvement every month in hits, as well as unique visitors. Light blue is hits, dark blue is unique visitors. July 2012 was a post-a-day month, and it gave me my best month until November 2013. But I couldn’t believe how much it increased by in December. Now, the unique visitors stats is rising, which is a good thing. But also, the fact that the ratio between hits and unique visitors is now 2 to 1 is also a good thing. That means my readers are sticking around to read more than one post. I’m loving it. But what am I doing that I haven’t done before? I think it’s mainly just posting more often and using social media more, but also engaging bloggers on other blogs. That’s quite important. I’ve found several of my commenters are commenting because I comment on their blogs. That is very important. And I also feel that it creates a sense of community. For those of you who are newer readers of mine, thank you very much for stopping by and returning. I enjoy the interaction I have with you, and will endeavour to provide interesting material for you to read. This goes for my old readers, too! If you haven’t done so yet, please vote on my most recent poll. I’d like to hear more about what you’d like to see. And please leave a comment. I love comments! Notes and Outlining: Paper or Computer? In the nearly 15 years of working on Ariadne, I have used various media to take notes and outline. One of them is my brain. But I don’t think the brain is the most reliable in storing notes. However, it seems that I do my best outlining while I’m walking outside without a computer or a notebook. In the beginning, when I made the original maps around 2000, I used only paper. I did almost nothing on my computer. However, after a while, I started using a spreadsheet that calculated maximum sustainable populations for countries depending on land use, land area, climate, and coastline. I put the results on paper, though. As time went on, I continued to use paper to write my ideas, and never used a computer. But when I started to finally write the prequel (Journey to Ariadne), I relied on my computer almost exclusively. I wrote at home. Occasionally, I wrote some scenes on paper, but I found that all of my previous parts were on my computer. I had no access to them when I was out. A notebook is light and very portable. It’s easy to pull out my notebook and a pen when I’m on the train, at work, or elsewhere. It’s easy to look up information elsewhere in the notebook. It’s faster to open a notebook than start a computer. Writing is slower than on a computer. If I have a lot of notes, it turns out not to be very portable. Despite these problems, I think I can overcome the editing problem. I can use different colours to highlight changes. I can also make notes on my draft. For those of you who are writers, what do you like to do? Do you plan, outline, and take notes on paper, or do you prefer to do it on computer? Leave a comment with your thoughts. 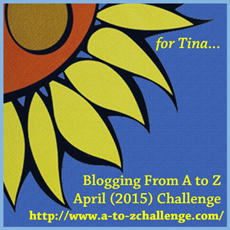 As you know, this blog is mainly about writing and books. I features book reviews, mostly science fiction and fantasy, and I talk about my writing and writing in general. I have a couple of polls for you. First, what do you want to see more of on this blog? And second, if I added something new, what would you like to see? You can select as many answers as you want in the polls. Thanks! And the second poll. Vote for as many option as you like. As a kid, I loved to draw pictures. I drew a lot, mostly animals, sometimes scenery. I enjoyed watching Bob Ross on TV. I liked looking at Robert Bateman paintings. They covered the two styles of painting I like. Now, I’m not good at painting, nor do I really want to paint. However, what I like is pencil drawings. I prefer realism. I haven’t done much drawing in recent years, but I did a lot in school. I have recently drawn our old dog’s picture, though. I’m planning to get back into drawing. Not just for my enjoyment, but also for my books. I’m going to be getting back into practice by drawing animals, buildings, and scenery that I see around me. I probably won’t do much until it’s warmer, though. What I plan to do after this is draw animals, important landmarks, and scenery for Ariadne. I’m really looking forward to getting started on this. Another thing that may come out of this is an art and photography blog to showcase my best photographs and artwork. With the retirement (well, hibernation) of my Foreign Dad in Japan blog and my 365 Rotations project coming to an end this week (at least photographically), I’ll have a bit more time to devote to this. 365 Rotations will continue to be updated weekly with weather reports and monthly with photos of each location, though. Mainichi Dokodemo Photography will continue as always, but that’s strictly iPhone photos which take very little time to post. But with this new blog, it’ll be the first time I focus on high quality photography and art. Pretty much all of my previous photography has been casual hobby photography. Despite doing this, I feel that I’ll be spending more time writing, too. With my recent computer problems, I’m going to do most of my drafting in notebooks, and later typing out a first draft. I can take a notebook anywhere, so I can write anywhere. Maybe I’ll take a small sketchpad with me and make quick sketches wherever I go, too. One of my online open courses, Dino 101, is helping me quite a bit. Although I may already know a lot about it, it’s reminding me about things that are very useful for my writing. How is that? How can dinosaurs help me write a science fiction book? First, it’s reminding me about comparative anatomy. We know that tetrapods, which are all vertebrate animals except fish, all have analogous structures in their bodies. Looking at dinosaurs, they all have the same bones, basically. Not only that, they share the same bones with birds, as well as mammals and reptiles. So, what does this mean? It means that I have to figure out a basic body structure for large vertebrate animals on my world, Ariadne. After that, I can then develop many different kinds of animals. Second, it makes me think more about evolution. I think this is quite similar to my first point. It allows me to develop animals. Third, it’s shown me several types of adaptations. This is extremely useful! I can figure out structures on animal bodies that can be used for different purposes, including eating, locomotion, and heat regulation. I’ll be able to develop animals for different environments and niches. This is just the tip of the iceberg. I’ve now completed 4 weeks of Dino 101. There are more topics that will be useful. I’m looking forward to it. Recently, I’ve been having computer problems. I’ve also recently checked what the problem is. Turns out I have bad sectors on my hard drive. This may mean that my hard drive is failing. Well, tonight, I noticed that a couple of my shortcuts were blank. They led to nothing. Those applications had disappeared. They weren’t just simple applications, they were massive games. All of the program files are gone. I have no idea how that happened, but they were there 2 days ago. In fact, it seems they disappeared while my computer was on. That is just strange. I could reinstall, but there’s no point with the way this computer is acting. So, if I disappear suddenly, this is why. I may have a complete hard drive failure. If so, I won’t be back until I have a new computer, which could take a while to save up for. In that case, I’ll be doing any writing I have to do on paper, the old-fashioned way. I’ll also be spending a lot more time reading. Reviews will also be written on paper. I could do some posts from my iPhone, but they’ll be brief. I’m hoping my computer will hold out until I can buy a new one, though. Well, there goes my motivation tonight.